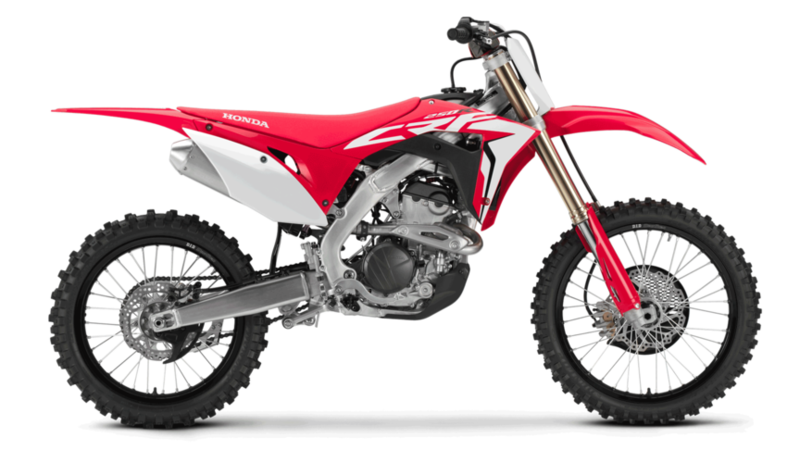 The 2019 Honda CRF250R is in the showroom and like the new CRF450R, this shares a lot of new updates and features. We’ve maintained the stunning top-end hit of the CRF250R’s DOHC engine, but boosted torque off the bottom to improve jump and acceleration out of corners. The engine also receives the 3-level HRC Launch Control plus durability upgrades to give you options for a strong start out of the gate. A new front brake caliper, Renthal Fatbars - adjustable 4 ways - and black DID rims round out the updates. The MX2 class moves fast. But so do we. A brand-new machine in 2018, we’ve upgraded the CRF250R yet again. So, if you want to cut lap times, make the new 2019 Honda CRF250R your weapon of choice. It’s what it’s built for. If you would like to check any more details about this bike, please call Steve on 01492 535959 or Contact Us.